A glen in the southern Grampians, Glen Prosen occupies the valley of the Prosen Water in the Braes of Angus. At the start of the 21st century, Captain Scott spent months in a cottage in Glen Prosen, planning his 1910 expedition to the South Pole, pulling his team together and carrying out training exercises in the sometimes harsh climate of this Angus glen. To honour and remember Captain Scott’s links to Glen Prosen, a striking statue stands at one of the glen’s viewpoints. 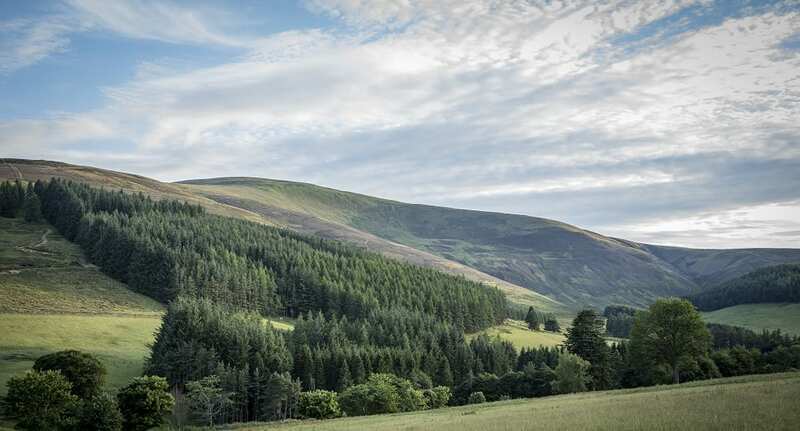 Glenprosen village sits on the slopes of the Hill of Spott and overlooking the Prosen Water on Tulloch Hill is the Airlie Monument, a copy of one of the towers of Airlie Castle erected to the memory of the 9th Earl of Airlie, who was killed in the Boer War. The road extends to Runtaleave, two-thirds of the way up the glen, leaving the upper section secluded. The head of the glen is overlooked by Mayar (928m / 3045 feet) and Driesh (947m / 3107 feet).